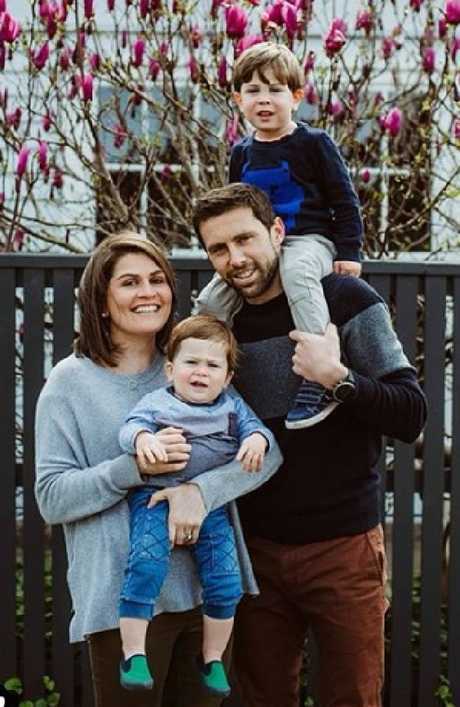 THERE'S very few people who could imagine the extraordinary tragedy and grief Melbourne man Leigh Chivers has endured. 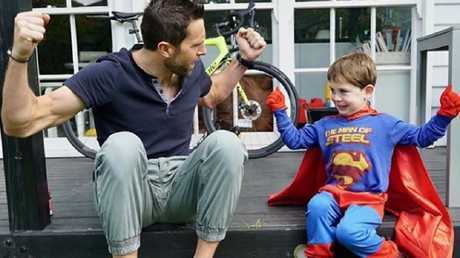 In January, Mr Chivers' wife Sara lost her nine-year battle with brain cancer leaving behind their two beautiful boys. 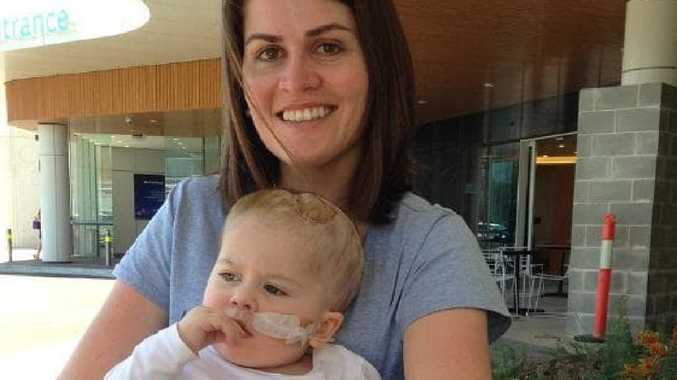 But in a rare and shocking coincidence, five months later the devastation turned to disbelief when the couple's 18-month-old son Alfie also lost his life to brain cancer. Alfie's was a completely different type called atypical teratoid rhabdoid, but it too was malignant, aggressive and a terminal brain cancer. The chances of getting it are about one in three million. Both mother and son underwent surgery, however, just before Christmas Sara went into palliative care, and soon after lost her battle. In June, baby Alfie died. "I just hit a wall where I couldn't see a future any more," Mr Chivers said in an interview with ABC's 7.30. "I couldn't look beyond a week and I basically lived day to day. Looking into the future was, was too hard." Neurosurgeon Bhadu Kavar previously told 7.30 he had never seen another parent and child with the same condition at the same time, likening it to lightning striking the same place twice. 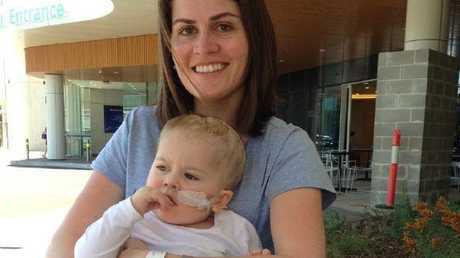 When the couple learned Alfie had also been diagnosed with brain cancer, a heartbroken Sara told 7.30 at the time: "He hasn't even started his life yet. "He hasn't been able to do all of the things that I've been able to do, you know, in my 34 years to date." "So it's just horrible, absolutely horrible. And heartbreaking." Today, Mr Chivers is a single dad of one. It's just him and his four-year-old son, Hugh. But it has been his little boy that kept him going, giving him a sharp focus on what was important. "It makes you realise how precious the time you have with your family is, how precious the time with your children is, and how all our time is finite," Mr Chivers said. "Really all we've got is the moments that we have with each other. "I think it's just been about survival. If I just focus on how hard it's been or how tragic it is all the time, I don't think I'd get out of bed to be honest." Mr Chivers not only picked himself up, he threw himself headfirst into fulfilling a promise he'd made to Sara before she died. "She encouraged me to get on with life and do the things that I enjoy," he told 7.30. "And one of those things was, she said she wanted me to do the Hawaiian Ironman, you know, for myself but also for her. "That was something we never got to do and she knows that it was a dream of mine to do, so it gave me that extra motivation to do it, finally." 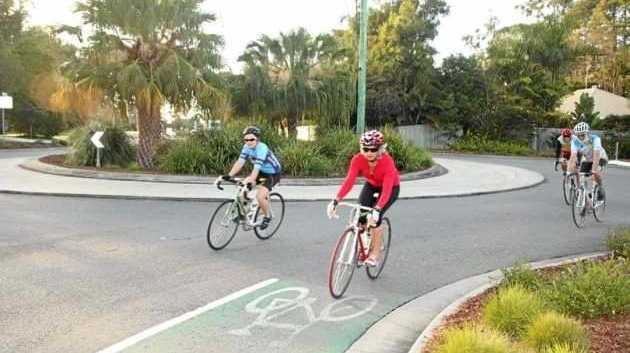 The last chance Mr Chivers had was the Cairns triathlon, a week after Alfie passed away. He failed to finish. But when the Hawaii Ironman organisers heard his story, they offered him one of two honorary places. He is now training for the event, trying to fit 12 months of preparation into eight weeks, all while working and looking after Hugh. But he sees it as a blessing. "I was pretty shocked and I was blown away as well," he said. "It just all came back to me how much Sara orchestrated this whole thing in a way, or she's gifted it to me somehow." While more people than ever are surviving other forms of cancer, brain cancer survival rates haven't improved over the last 30 years, 7.30 reported. But Sara had used her final months to draw attention to the issue and now Mr Chivers is racing to save others. "Anything we can do to raise awareness is worth doing, and it's worth doing because that's exactly what Sara did," Mr Chivers said. "She was so heartbroken and angry about what happened to Alfie and herself that she just wanted to use her story to try and further the cause and try and improve the future for children like Alfie and for people like Sara." When Sara was dying, she wrote her sons a letter, describing their father as an exceptional role model. Those attributes were recognised with a community father of the year award. When he lines up in Hawaii on October 13, he won't focusing on big results or a record time - just finishing the race, and what his wife started. "I can't wait to see (Hugh's) smile and I can't wait to give him a high five and a hug and just get to the finish and just enjoy it with Hugh [and] with my whole family," he said.